I’m sure many will agree that books are an awesome gift, but how do you make an awesome gift even better? Team it with a set of bookplates. Put your best pen and nervous handwriting away, the amazing Shelley at Oiseaux Vintage Paperie creates beautiful vintage style personalised bookplates. In fact, we first featured Oiseaux way back in 2008 and since then a new online shop has opened with more than 90 styles of bookplates. 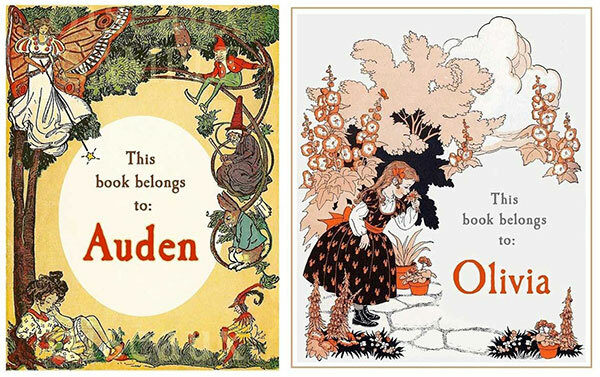 A range of bookplate themes are available from all things animals, fairy, baby, even girls and boys – the one thing they all have in common is an enchanting vintage vibe. Oiseaux doesn’t stop at bookplates either, the collection has been extended to include personalised vintage wall prints (US$16.99) and ready-to-hang personalised vintage panels (US$38). You can also make gift giving a breeze with Oiseaux Gift Sets that include a vintage story book, an I Love To Read print and a set of 24 personalised book plates, priced from just US$29. 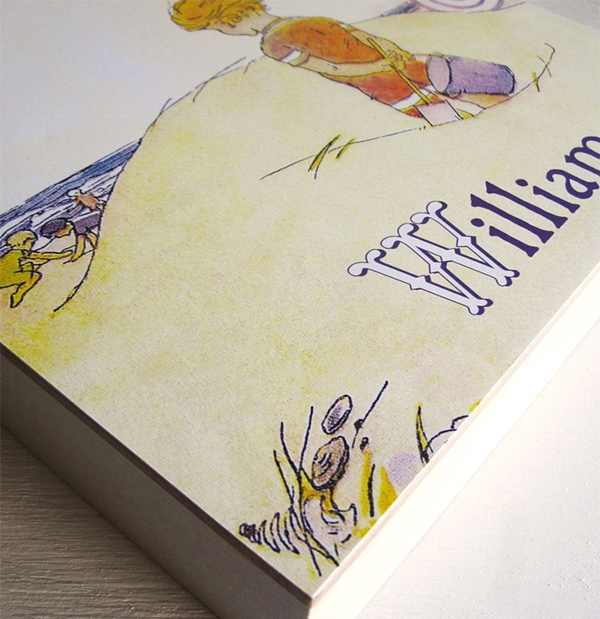 Personalised vintage bookplates will set you back US$16.95 and are good for quite a few of your favourite books, since there’s 24 in a pack. 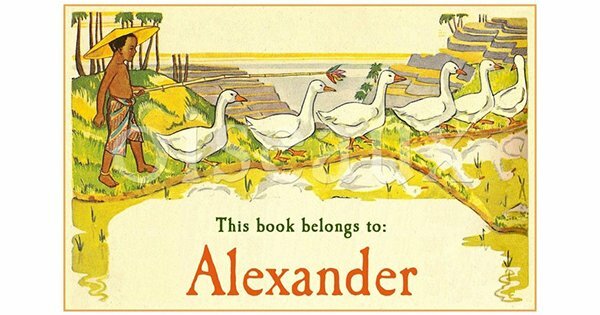 Peruse the bookplate designs, along with the many other vintage offerings, at Oiseaux Vintage Paperie.